Jia Nadia Guo received her Medical Degree from Shanghai Medical University, regarded as one of the top medical schools in China. Guo was awarded a Post-Doctorate research fellowship at the University of Pennsylvania Medical School, focusing on Cognitive Neuroscience. She is currently an adjunct professor of medicine at Guangxi Medical University in China. Guo is a DOM and Licensed Acupuncturist in the United States, with 20 years of experience on the Philadelphia Main Line. She currently practices in Bryn Mawr and Conshohocken, offering a full scope of alternative medical treatments including Chinese Acupuncture, Herbal Medicine, Traditional Chinese Medicine alongside nutritional and dietary consultations. 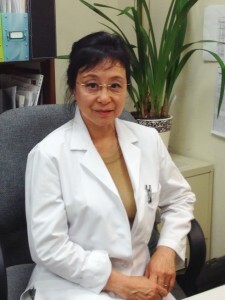 Guo’s successes with patients have been reported in national medical journals and she’s presented her case studies at conferences and academic institutes to highlight the positive effects of acupuncture. Most notably, Guo spoke at Columbia University about her treatments of a brain damaged patient who was able to combat debilitating effects on his nervous system through continued acupuncture treatments. Guo was reported by national medical journals “Alternative Path” April, 1995 by “Advances for Managers of Respiratory Care” and “Alternative Asthma Treatments Gain Fans” March 9, 1998 by “Advance Respiratory Care Practitioners”. Guo is also listed in “The Metropolitan Who’s Who Registry” awarded to individuals who have demonstrated outstanding leadership or achievement in their occupation, industry, or profession, USA. For an appointment or questions please contact us at 610-526-9598.